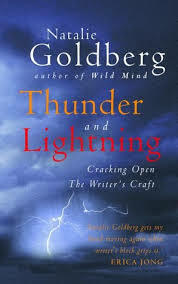 Lots of great tips from one of the pioneer writers of writing practice, Natalie Goldberg. I wanted to share one that resonated with me. She decided the novel would have thirty chapters; there had to be action in each chapter, and she would set it up so that when readers came to the end of the chapter, they’d want to go on to the next. It sounds mechanical, but Kate explains that she actually does a lot of writing practice, journaling, sketching ideas, scenes, and research in a notebook, planning it out anywhere between three months to a year before she sits down to write it. Ok. Now go. Do it!